When it comes to moving more product out of your furniture store, paying employees or even expanding your footprint, there are increasingly limited options for entrepreneurs to get cash. Silver Rock Funding changes all that as a way to get alternative financing. With these small business loans you could get up to $500,000 approved within 24 hours and could have the money deposited in your account within 72 hours. The process begins when we listen to you as a furniture store owner and figure out how capital could help you grow and expand. From there, we leverage our experience and look to match you with a lender that can get you the capital you need. Lenders will reply within 24 hours and the decision to accept the loan is 100% up to you. Your funding manager will work with you to discuss all the options available for your business. For most small business loans to be approved, you will need to provide six months of bank statements and three months of merchant processing statements. One of the most popular forms of financing offered is the merchant cash advance option which allows you to pay back what you owe based on your future credit card receivables. We can help even if you have bad credit. Our personal touch of having a dedicated funding manager work with your business is something that separates Silver Rock Funding from other companies. 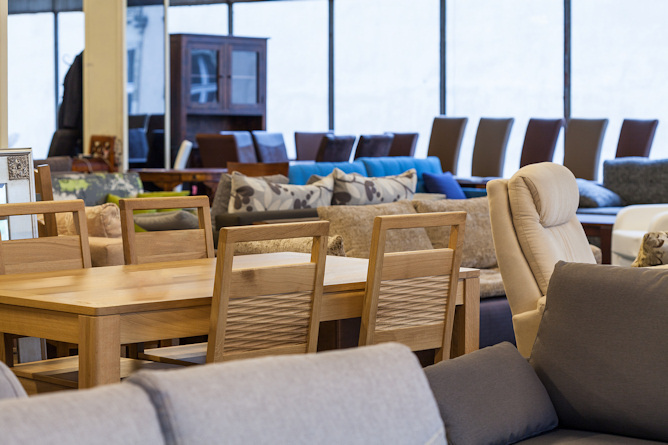 Small business loans are essential for many furniture stores and having a dedicated funding manager work with you is a great way to understand your options. Get in touch with Silver Rock Funding today and you could be on your way to additional financial freedom. Give your furniture store the smart investment it deserves with Silver Rock Funding today.